We have several guides available for the programs listed below. If you do not find one that you like you can always find many more guides online by using a search engine such as Google or Yahoo. 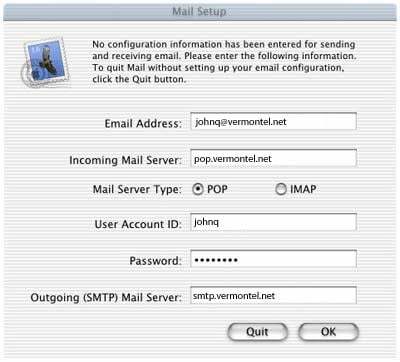 Email Address: Enter your email address with the @vermontel.net at the end. 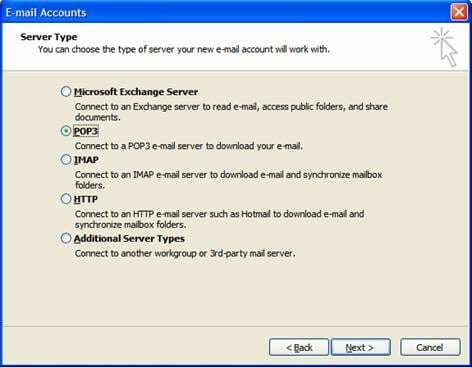 Mail Server Type: Select POP. 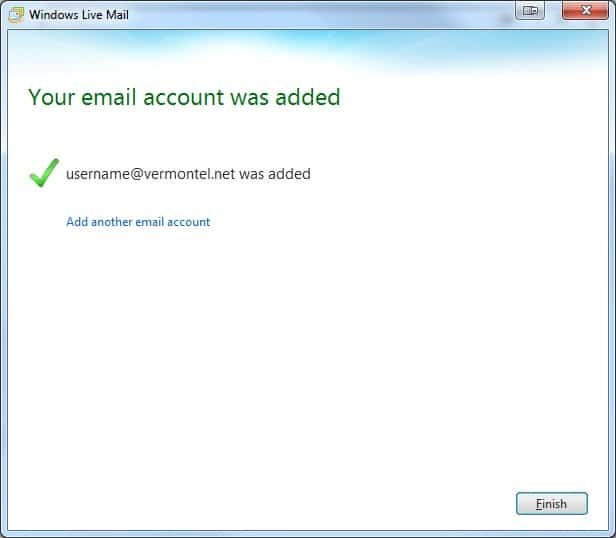 User Account ID: Enter your email address — this time leave off the @vermontel.net. 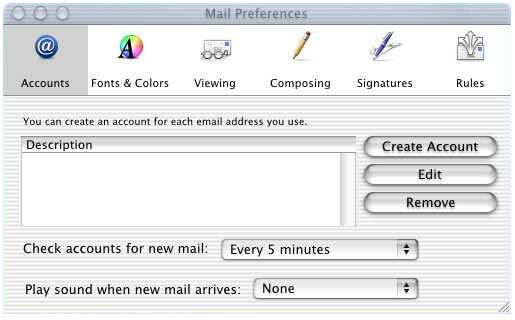 If you already have an account configured in Mail.app adding your VTel email account is a slightly more involved process, but still a simple one. 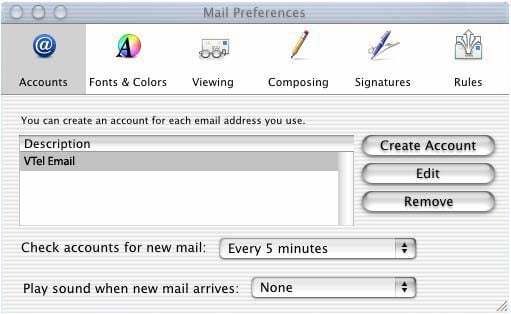 Open the Preferences for Mail.app by going to the Mail menu and selecting Preferences. 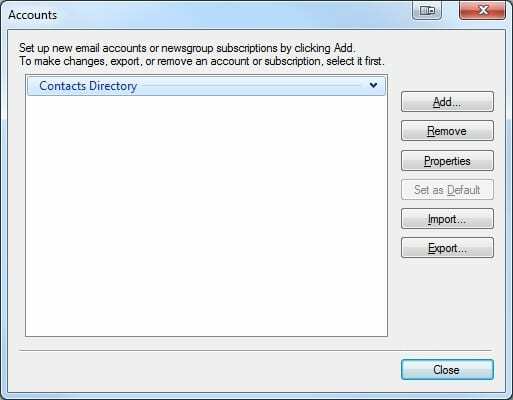 The dialog below will open with a list of all the accounts currently configured in Mail.app. 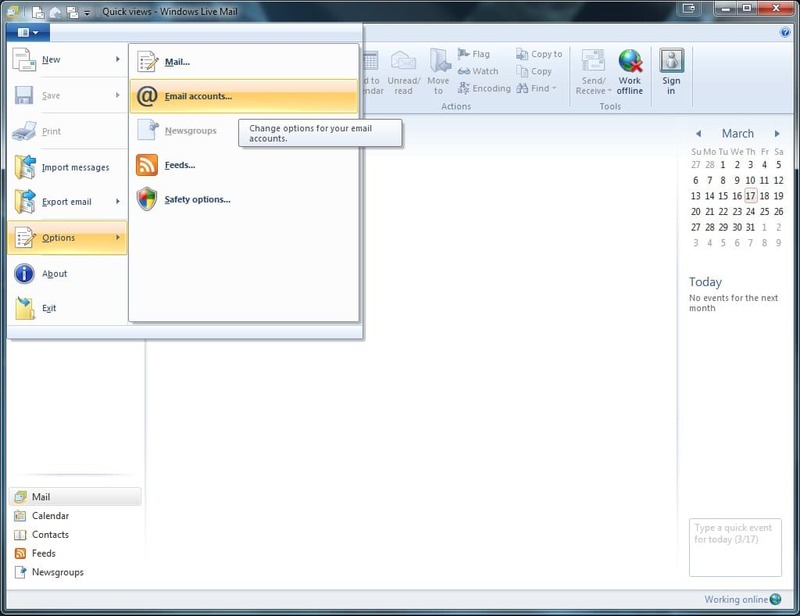 Click on Create Account. 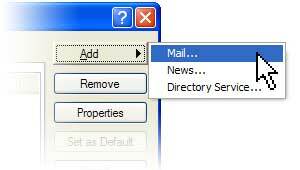 There is where you tell Mail.app which servers handle your email. 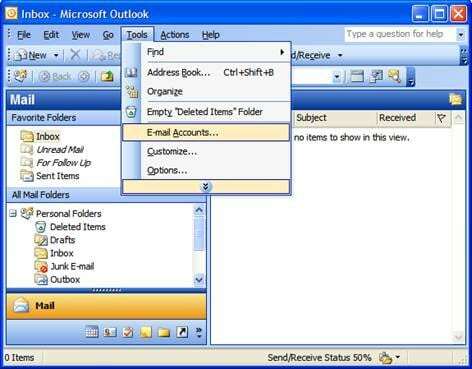 Description: Anything you like, such as VTel Mail. Full Name: Enter your real name or a nick name. 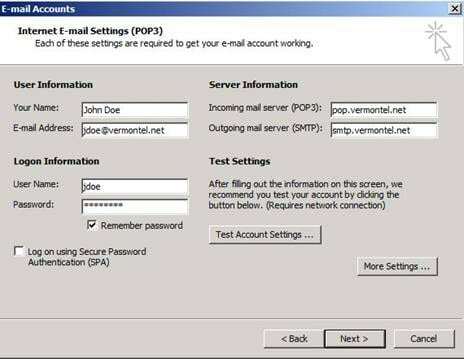 User Name: Enter your email address — this time leave off the @vermontel.net. 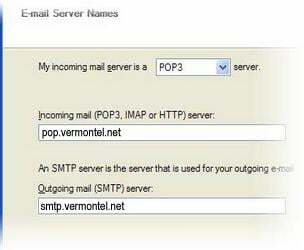 SMTP User: Enter your email address — this time leave off the @vermontel.net. Click on the Account Options tab. 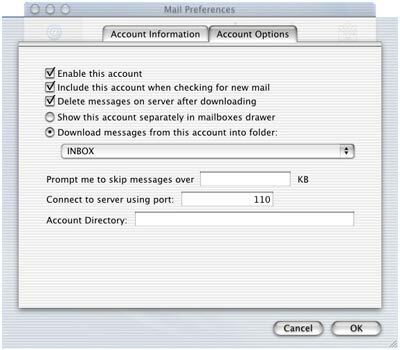 This is where you tell Mail.app how and when to check your email and what to do with the mail it receives. 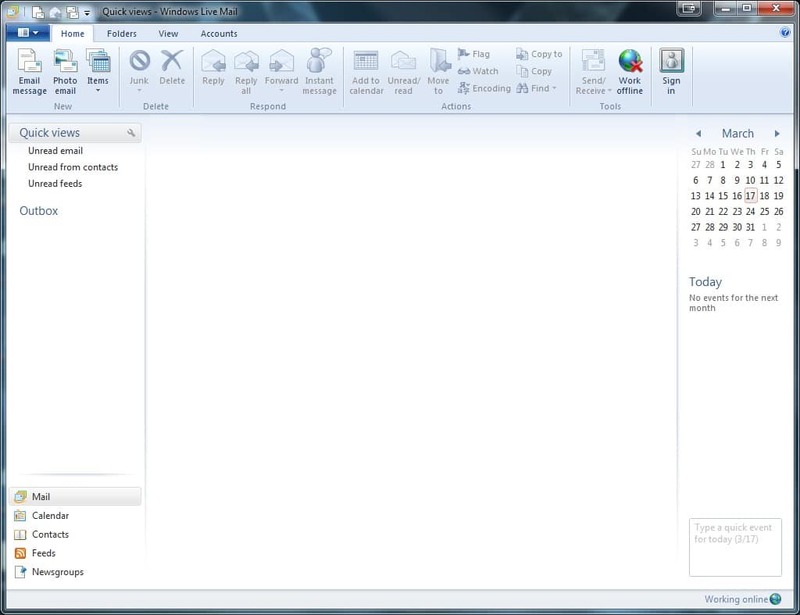 Set the options the same as the picture below. 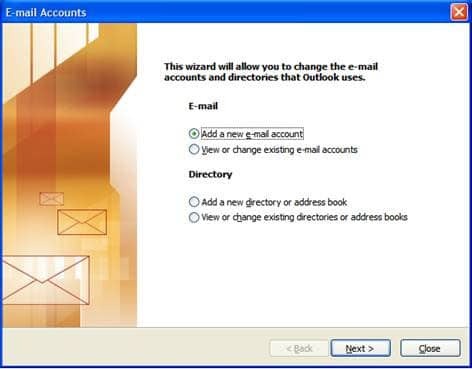 On the E-mail Accounts wizard window select Add a new e-mail account and click Next. 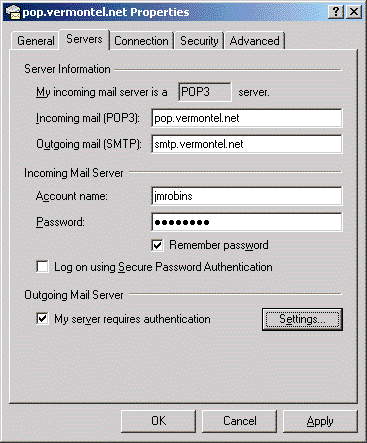 Select the POP3 option for your server type and click Next. E-mail Address: Enter your @vermontel.net email address. 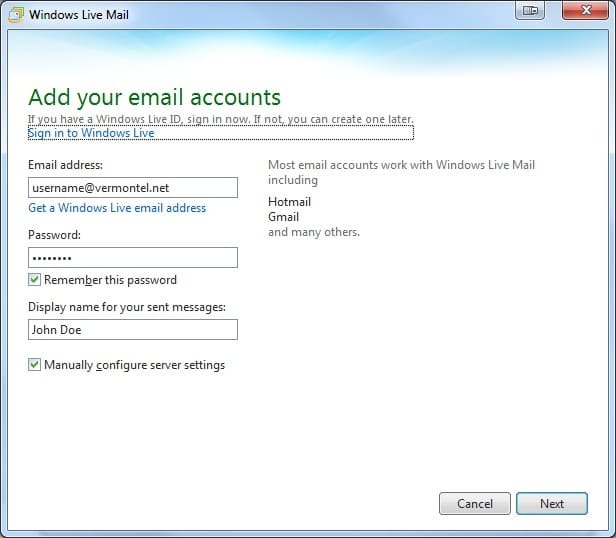 User Name: Enter your email address; however leave off the @vermontel.net. Click the More Settings… button and go to the Outgoing Server tab. 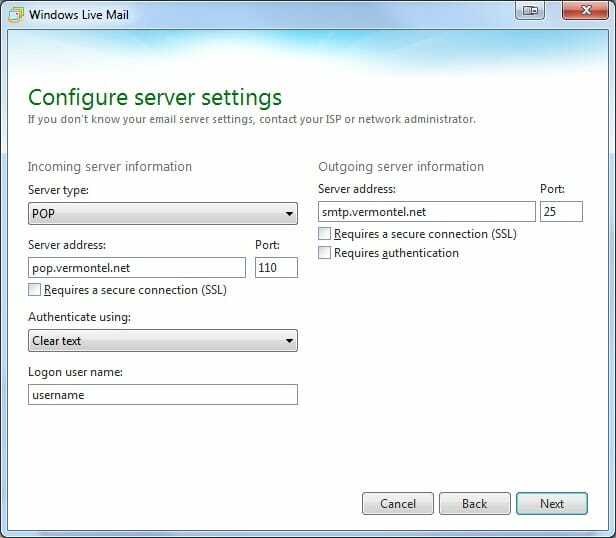 Make sure the option My outgoing server (SMTP) requires authentication is checked and that there is a dot next to the option Use same settings as my incoming mail server. Click OK when finished. 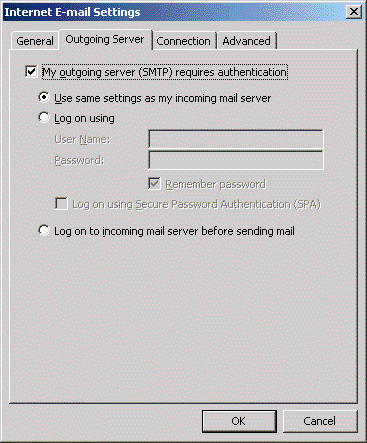 Start Outlook Express (if the Internet Connection Wizard starts up automatically, skip ahead to Step 4). 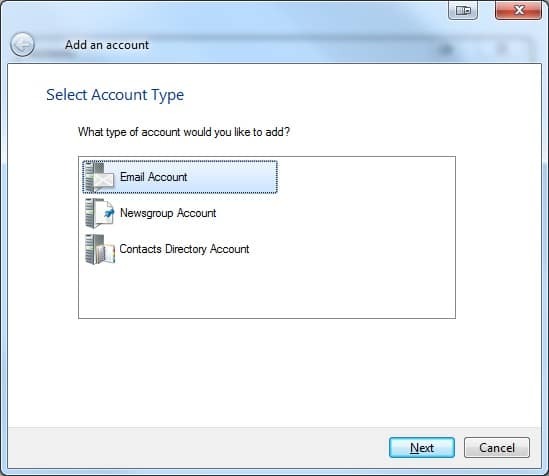 Expand the Tools menu and choose Accounts. 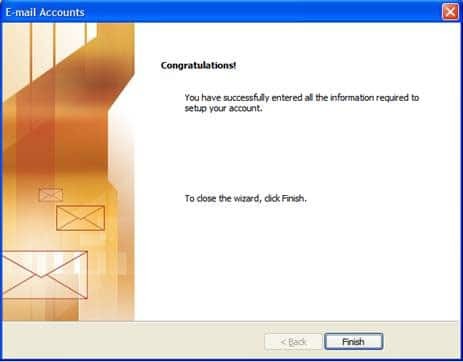 On the Your Name page of the wizard type your name as you want it to appear, to the people you send email to, and then click Next. Most people use their full name, but you can use any name, such as a nickname, that people will recognize. 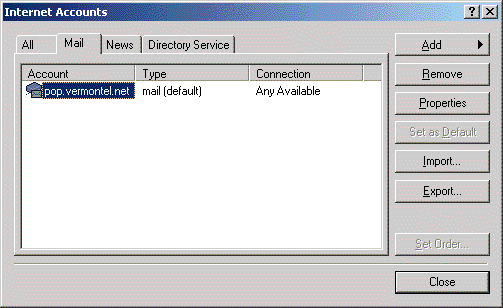 On the Internet Email Address page type your email address. This should be in the format of @vermontel.net. Click Next. 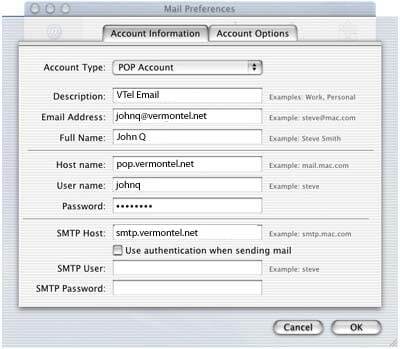 Click on the pop.vermontel.net account and then click the Properties button on the right side of the window. Click on the Servers tab and make sure the option My server requires authentication is checked. Click the OK button when finished. Need Technical Support? We are happy to assist you!